Granted, we do actually have a photo record of him getting larger. Also, I’m pretty sure he wasn’t swapped out anywhere along the line because at this point, he literally looks like my face on Paul’s body. It is, however, slightly disturbing to think that I HAVE A TWEEN. This creature is literally a tween. He is ten. He is his own person, although that person seems to be a class clown. Thankfully, these two awards (received yesterday, 6/18/18) balance each other out. It’s a weird thing being a parent. The best description I ever read of it was that it feels like your heart is walking around outside your body. This is my son. This is the being who is the most important thing in the world to me, whom I would literally do anything I could to protect. And here he is becoming his own person who is able to walk around in the world without any oversight or protection from me. Worse, he’s becoming a totally different person all the time as he grows up and becomes whoever he truly is in there. Still. I have a tween now, a boy who is halfway to being a man, a creature who will spend the second decade of his life building the foundation of the person he is meant to be. My job is to support him as he becomes that person, and then boot him out into the world, because he is a terrible roomate (underwear everywhere, eats all the cereal, leaves dishes out). It is strange to think that I have been doing that job without any formal training, because helping to create and then raise another human seems almost meta in its vast responsibility. And yet, we have been doing that job, and we have, so far, produced a fairly decent human being. We have a tween. Ten years ago, when they handed me my son in a bundle at Cedars-Sinai, I could not have imagined getting to this point. I’m sure I’ll feel the same way when I look back at Mister Class Clown here from his junior year of college. I’m taking my son to London this summer! This is me at the White Tower in 2010. Paul and I had not yet learned to take selfies. I had been holding off on the UK because it’s easy to visit. I like my world traveling to be more exploring and challenging. Visiting Britain (or any of the British Isles) doesn’t require any language or cultural effort. It’s actually comforting for me to visit Britain because it’s so much like home: growing up with an English parent, in a former colony, in a borough that boasted two separate tea rooms and an invisible “Tweed Curtain” separating it from the rest of Victoria, means that I totally get shows like Very British Problems. I may have gone all-in on my mother’s family heritage of Brooklyn Jewish, but I also have British citizenship by descent, and I grew up in a country that was still governed by the British constitution until I was four. But now, we’re going to Eurocamp! A handful of us will be representing Brooklyn – and the USA based B-PSA groups – at the camp in Newbury. And on the way back, we’re going to stop in London, see the city, stay at Pax Lodge, and see two of Ben’s three namesakes: Big Ben and the Tate Museum (Unfortunately, while there is a PAUL chain of patisseries, there is no major “Boothe” attraction to check off Ben’s full name). We’ll go swimming at the ponds on Hampstead Heath. We’ll ride the Eye. We will go to the Museum of the City of London, and to the Tower and the Bridge; we’ll go to the War Rooms. I will drag my son with me to shop at Camden Market (Actually, I may leave him in the hostel room for that.) We will see what we can in the two and a half days we have, from Saturday afternoon to Tuesday morning. It isn’t a lot of time, but I’m still excited to have it. So we’re going to London. And it’s a Mama-Ben adventure, like our trip to Switzerland, because Paul doesn’t have the days off to go with us. I still look forward to it, even if I have to miss my husband (and Ben has to miss his father). It will be a great adventure. And while Ben is not as excited about it as I am, at least, after listening to Neverwhere, and getting over his suspicion of China Mieville to read Un Lun Dun, he’s somewhat interested in visiting the city that has inspired many, many fantasy versions of itself. Or he could just be interested in riding the London Eye. Who knows what goes on in the brain of an almost ten year old? Star Tours. We weren’t sure about this, since Ben had a panic attack after riding Flight of the Na’vi in Avatarland, and this was another simulator ride with some drops and a lot of movement. Ben went on it with great trepidation, but by the end, was grinning broadly from the thrill of flying through the Star Wars universe, and asked to go on it three more times during the day. Kali River Rapids. Identical to the Russian River Rapids in California Adventure, only with a different surrounding story of river rafting in India. We all got drenched on this one, to Ben’s joy and delight. Haunted Mansion. THAT’S MY BABY. Mission Space (Orange). Again, it was the right level of movement and simulator for Ben’s anxiety and dislike of thrill rides. Also, it is awesome. Soarin’. I disagree with this and think it should be first since Soarin’ over California was my favorite thing at California Adventure and Soarin’ Over the World is an upgraded version, but I suppose my nine year old son is prioritizing the space rides as he should. Pirates of the Caribbean. The movies are literal nightmare fuel, leading to a BEN WHY ARE YOU IN OUR ROOM IT’S 2AM incident the night before we left, but the ride remains a classic. Toy Story Midway Mania. It combined the joy of fairground skill games with a movie Ben loved – of course it was a favorite. Buzz Lightyear Laser Blasters. No surprise here either. Big Thunder Railway. This was a surprise since Ben was extremely nervous about riding a roller coaster. However, after riding Flight of the Na’vi, he decided it was actually awesome in that it was well balanced in its thrills. Kilimanjaro Safaris. This is basically a big zoo, so we had to balance our appreciation for seeing the animals with our innate dislike of keeping animals in captivity. It was a well done experience – a Jeep ride through recreated habitats for African animals – but still, not a Disney unique ride. The Jeweled Dragon Acrobats at the EPCOT China pavilion. I think we can call this another Successful Family Vacation. It was a much more exhausting experience than Disneyland, but totally worth the energy, money and time to make that many happy family memories. One of my favorite fantasy series is China Mieville’s “New Crobuzon” trilogy: Perdido Street Station, The Scar and Iron Council. This is the steampunk and magic laced world with a corrupt capitalist government, where social, racial and cultural differences are exploited for the political and fiscal gain of the corrupt upper echelons of the city (a familiar story). The city of New Crobuzon itself is an alternate existence of London, dense with neighborhoods that spiral out over time from a central point on its Thames, the Gross Tar. Each neighborhood has a history, each neighborhood has its races and cultures, each one is distinct. New Crobuzon, as a world, is as much about urban history and urban geography and urban sociology as it is a fantasy realm. I love cities. I love the stories of cities, how they grow, how neighborhoods are built and change over time. 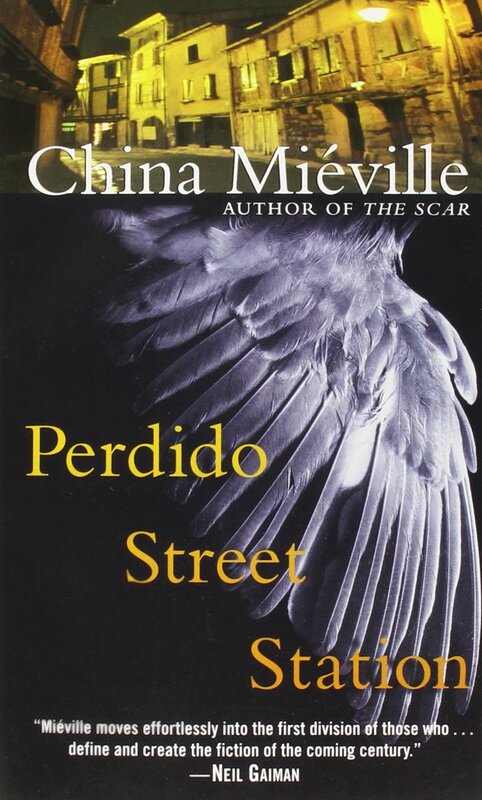 Therefore, I threw myself wholeheartedly into Perdido Street Station. I saw, in my imagination, the descriptions of each neighborhood, from the scientific quarter of Brock Marsh, to the abandoned projects of Dog Fenn. I understood the backstories of how neighborhoods came to be occupied by specific immigrant groups. I especially loved reading about some neighborhoods went from mansions to slums and back again, keeping tenements as museums to past poverty in their midst (we have one of those!). And I especially appreciated that, as in all great cities, New Crobuzon grew along its trains, its El, the trains the commuters still take each day, the million ordinary people of a fantasy world, traveling to and from work in a universe full of monsters and magic, between their version of the Outer Boroughs and their white-collar jobs. Paul was not as much a fan of this concept. He’s fine with world building – he has slugged through King’s Dark Tower series, which I don’t have patience for – but not an urban studies textbook disguised as a steampunk fantasy. His response was that Mieville spent too much time city building and writing a Lonely Planet: New Crobuzon and not enough time actually developing characters or plot. I pointed out that the character development is great in New Crobuzon, it’s just that each character also has to function as a representation of their class, race and culture almost as much as they are a separate being in their own right. Each character has to also either exemplify their people, or illustrate their community through their outcast or outsider status. Nothing tells us about a people and their culture like those they choose to exile among them. ME: Binja! Get it? Bin…ja? They’re bin ninjas? ME: English people call a trash can a bin. I also love Un Lun Dun. It’s not the flip side of London that Kraken is, but it is a travelogue through a London’s dreams, a city built of London’s cast offs, both material and thought, a city of random buildings and people, traditions and creatures. There’s ghosts and monsters, creatures of all shapes and sizes. There’s houses made from M.O.I.L. – Mildly Obsolete In London – which means typewriters and cassette tapes. There’s even a November Tree, a tree made of solid light from Guy Fawkes fireworks. And my favorite part of Un Lun Dun is how it flips the heroine’s journey around, changing how we think of destiny in these kind of children’s stories. Perhaps it is time that the world gets saved by the “funny one”, not by the chosen one. The ab-city, with its houses and dwellings made of everything, in every shape. Ben, however, is not nearly as charmed and interested in visualizing the ab-city. I therefore blame Paul for this. My husband is less into world building that I am. I want all my books to come with an expansive geography. I own a copy of the Dictionary of Imaginary Places. I love maps, I love places, I love cities, and I love imaginary worlds that come complete with entire sociological histories.. Paul, however, would like his books to be less of an atlas of a mythological land and more of an actual plot and character driven tome. I suspect our son has taken after his father because attempts to pull Ben into the fantasy books with the best, most memorable and detailed worlds have been met with resistance. According to Ben, Narnia is boring. Earthsea was really boring. (Middle-Earth we are still working on). I’ll keep working on this. I want my son to have that sense of expansive imagination, to be able to imagine other worlds, with their own history and mythology, their own rules of physics and magic. We’re going to flip into Neverwhere on audiobook over the break. I’ve got twenty-plus hours to fill with Gaiman and Tolkein and Lewis…and we are going to get through the rest of Un Lun Dun if it kills me. I just have to figure out how to get my son excited about exploring these imaginary worlds with his mama. the nightmare before christmas, live in brooklyn! Last Wednesday, I took the boys to see the Nightmare before Christmas – Live to Film. It was the projected film, with live music and vocals by the original cast voices. That meant Danny Elfman, in person, belting out the part of Jack Skellington, in front of a full two hundred piece orchestra and backing vocal chorus, below the projected film. It was amazing. Featuring famous Canadian Catherine O’Hara! Nightmare, along with Edward Scissorhands and Beetlejuice, are part of the goth canon for my generation. 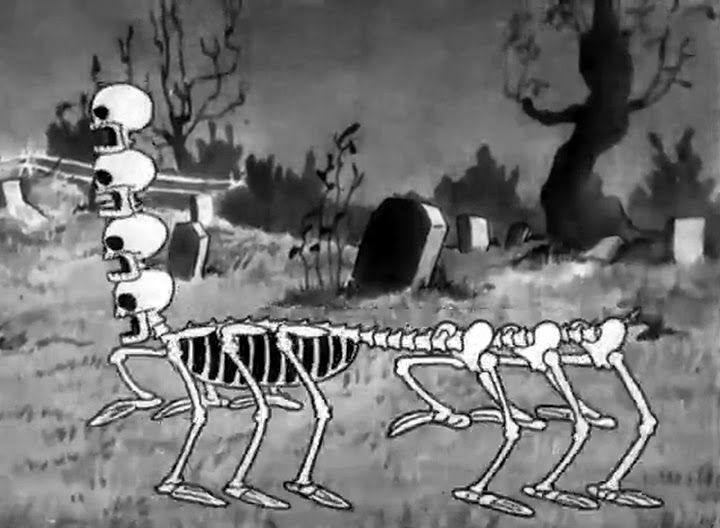 Burton’s early work is what fits with the whimsical, dark faeryland aesthetic of second generation goth, both due to the constant reference of death in imagery, and the elongated lines, dark curlicues, and stark contrast stripes. That is the the Tim Burton aesthetic, and Nightmare, with its horror theme, Halloween imagery and Danny Elfman soundtrack, is a pinnacle of goth entertainment. Ben is not yet a fan of Oingo Boingo (Paul is working on it), but he loves Nightmare and even asks to watch it in off season (That’s my baby.). He likes the movie so much that he even took a second run at watching its cousin film, the recent adaptation of Gaimans Coraline. (Still too scary.) This event appealed so much to our family that I invested in the mid-range seats at the Barclays Center so we could actually see the performers. We walked in to find genius product placement: Hot Topic ads featuring Jack Skellington. I dislike the appropriation of Jack Skellington as this sort of bad boy symbol in general, and I squarely blame Hot Topic. Still. Genius product placement. Then again, Nightmare does inspire some things that sound like a Hot Topic imploded into a quasar of overkill. Marilyn Manson is also NOT GOTH. I read retroactively that “Barclay’s Center will become Halloweentown!” and that costumes were encouraged, but I didn’t see anything themed or otherwise. I did see a handful of outfits and Jack Skellington T-shirts, but no effort on the part of the venue was visible as we walked halfway around it to get to our seats. I SERIOUSLY CAN’T EVEN IMAGINE WHAT THIS IS. The next piece was a medley of the score, with what I assume were Tim Burton’s original pencil crayon drawings. Ben was very impressed at the drawings and asked if Tim Burton was also an artist. We had just finished explaining that yes, he was, but he was best known for directing movies, like the original 1987 Batman and Pee-Wee’s Big Adventure but by then the movie had started. Right away for the opening number, five cast members filed onto stage, whom we assume were all original score, launching right into “This is Halloween”. It wasn’t until Jack’s first song that Danny Elfman came out, singing “Jack’s Lament” with an incredible intensity. I haven’t seen Elfman sing live before, so therefore I was amazed by his depth of sound. Also, like everyone else on stage, he was clearly having a freaking blast. Despite singing a lament despairing of the sameness of every day in Halloween Town, Danny Elfman was still downright joyful. That would prove to be the theme for the evening. I have rarely seen a performer enjoy themselves as much as this cast was. Ken Page, singing the Oogie Boogie song, was delighted to be there, and was having so much fun with his performance that it took all the fear out of that most nightmarish of characters. Catherine O’Hara came out and sang “Sally’s Song”, perfectly note for note as she did a quarter century ago, emoting Sally’s tragic longing while still having a good time being on stage. There is something to being at a show where the performers have that contagious joy at being there. I was just so impressed with this production. I can’t even begin to imagine the work to take the score and sound layers apart and put them back together to sync up to the orchestra and singers. To do so, the original creators of the idea must have had to determine where the live music and voices would cut in, and give direction to sound engineers to specifically take track layers out at those moments. It must have been incredibly detailed work that would require stress-testing with performers. For that matter, I can’t imagine being in an orchestra performing an entire score all at once. That’s insane, two hours of performing a score straight through without more than the intermission break, plus the opening cartoon and overture. How would you have the entire score on your stand and manage to turn the pages and keep up and play flawlessly for that long? I am blown away with the caliber of musicians that performed this soundtrack, beginning to end. For all these reasons – for the concept of seeing a live-to-film movie perfectly edited, for the joy of the performers singing on stage, for the quality of the musicians who performed, I was so glad we were able to go. It’s our way of celebrating the holiday season: by watching a movie where Halloween nightmares try to reproduce Christmas and end up terrifying everyone. Every family has its traditions. This was a particularly special way for us to celebrate ours.